One of New York’s Best Bartenders Has a Bar AgainA look at all of Phil Ward’s new drinks for Brooklyn’s Madre Cocina & Mezcales. Café Loup Returned Last Night With Customers Old and — Surprise! — NewAfter a brush with death, the storied West Village hangout reopens with new life. Downtown Literary Haunt Café Loup Will Serve Its Martinis Again TonightThe restaurant had been seized by New York’s tax department. Brooklyn Icon Hank’s Will Live Again — Inside a Food Court?It’ll be part of the Hill Country Food Park. The Four Seasons, and Power Lunching in the #MeToo EraIt’s a celebration of one-percent-ness with an unmistakable air of toxic masculinity. 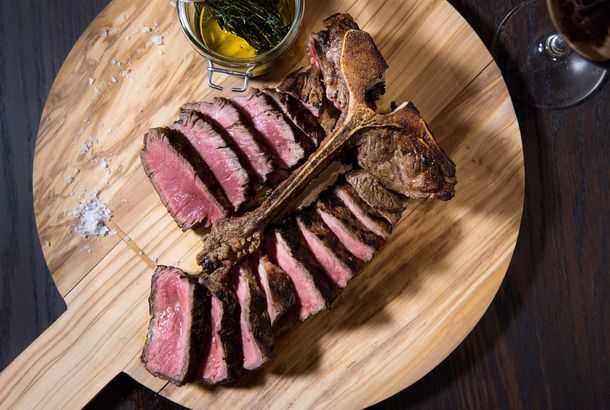 The Dead Rabbit Reopens After July 1 FireThe Fidi bar is serving up a limited cold-food menu until the gas is turned back on in a few weeks. 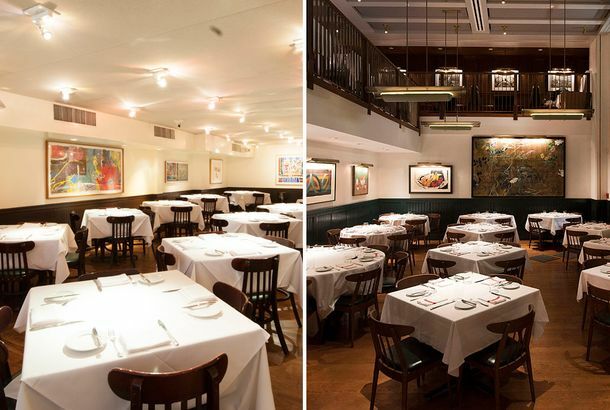 Pastis Will Officially Reopen — and Stephen Starr Is InvolvedThe Meatpacking District restaurant will open in a new location next year. 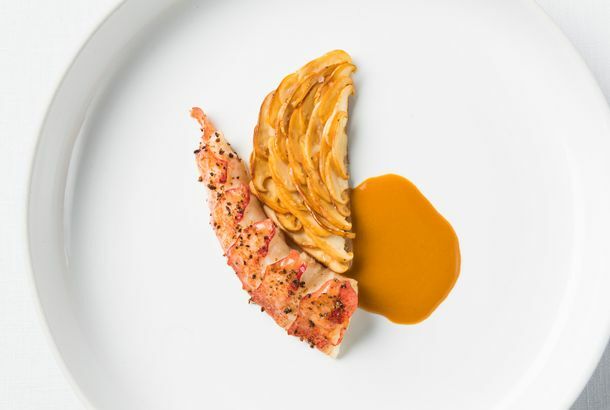 JoJo, One of New York’s Most Important Restaurants, Is Open AgainJean-Georges Vongerichten has reopened his very first restaurant after more than a year of renovations. Great Jones Cafe Is … Open Again?New Yorkers will take it. 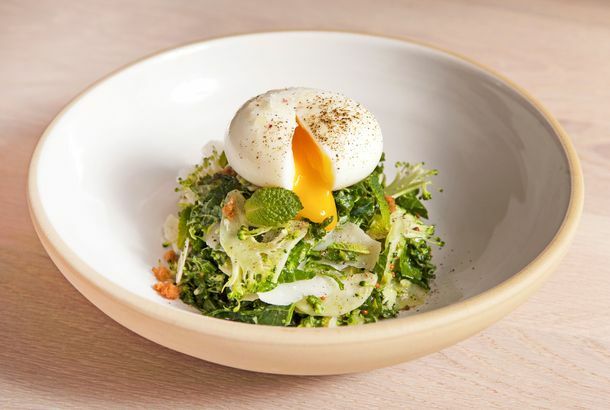 Mas (Farmhouse) Returns to NYC With a New Menu and Renovated Dining RoomThe restaurant closed for nearly a year after an electrical fire. After 9 Excruciating Years, Chumley’s Is Finally Open AgainDon’t expect the historic bar to be exactly as you remember it, though. 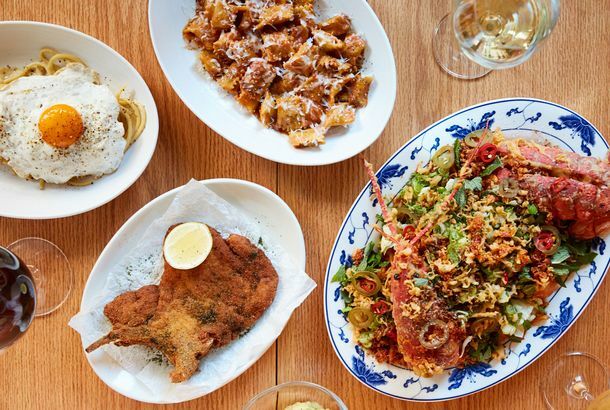 Bergen Hill Relocates to Noho With a Seafood-Heavy MenuRavi DeRossi, Daniel Kessler, and chef Anthony Mongeluzzi make for an all-star team. Pommes Frites Rises From the Ashes, Reopens in West VillageThe East Village explosion destroyed the original shop. Hallelujah: Carnegie Deli Is Open AgainDon’t call it a comeback. Kosar’s Bagels & Bialys ReopensThere’s still your classic onion and garlic, too. New Yorkers Are Turning Out in Droves to Support B&H’s ReopeningNearly five months after the Second Avenue explosion, the East Village institution is serving potato pancakes once again. B&H Will Finally Reopen TomorrowThe gas is on at the beloved East Village spot, which has been closed since March. B&H One Huge Step Closer to ReopeningThe owner of the East Village restaurant says he may finally be open again as early as next week. City Sub(s) Will Indeed Make a Triumphant Return to BrooklynThe new owner explains how he plans to reopen the beloved sandwich shop. Bronx Cheap Eats Sensation El Atoradero Is Relocating to BrooklynComing this fall, owner Denisse Lina Chavez will get a full bar, a trompo for spit-grilling, and may even make her own masa. Rejoice: Pommes Frites Will Reopen in Greenwich VillageThe original outpost got wrecked in the Second Avenue explosion. Tuome, Wrecked by a Kitchen Fire, Reopens TonightThe restaurant has a new spring menu, too. Momofuku Ko 2.0 Opens Friday; Here’s the Crucial Info [Updated]It’s dinner-only, has 40 seats, and they’re going to butcher a saddle of venison right in front of you. Get Ready for Mission Chinese Food’s Permanent ReturnThe restaurant will reopen in the now-former Rosette space. 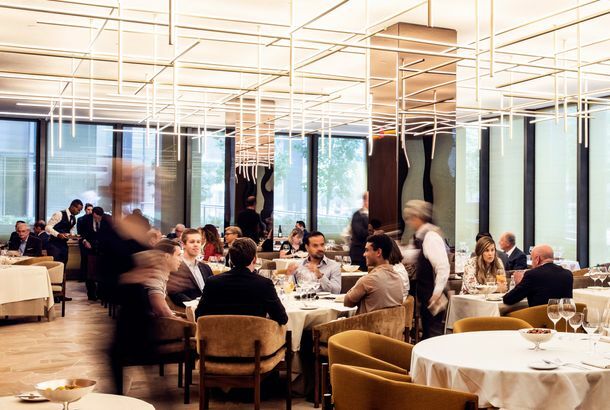 The Modern Reopens September 15It closed after service on August 18 when a pipe burst in its dining room. Famous West Village Bar Chumley’s Should Be Reopening Any Month NowIt’s been closed for seven years. West Village Bar Chumley’s Got Its Famous Door BackSpeakeasy and carry a large gimlet. Nightingale 9 Reopens Tonight, With Exciting New DishesWelcome back! Blenheim Hires Le Restaurant Chef Ryan TateAnother attempt at a restaurant redo. What to Eat at the Newly Reopened, 99-Year-Old Caffe DantePizzas and cocktails join the lineup. Judge Suggests Chumley’s Opponents 86 Their LawsuitIt had been open for 70-something years before the 2007 closure, after all.